VIZ Media Heads To The Washington D.C. Metro Area To Celebrate SAILOR MOON, BORUTO And More! VIZ Media heads to Katsucon this coming weekend to participate in its first anime convention of 2017. 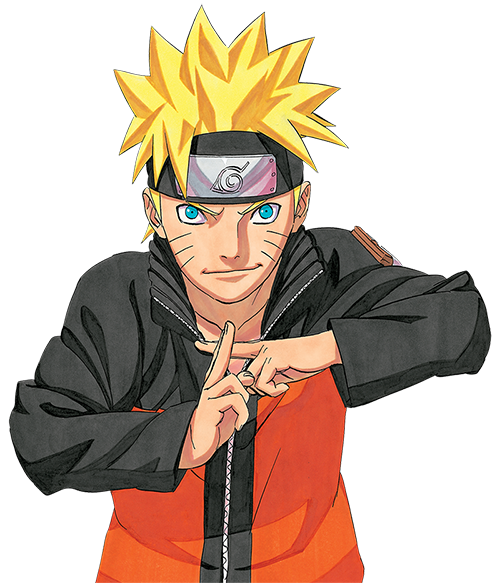 VIZ Media will support the event with a pair of panel discussions and a very special BORUTO: NARUTO THE MOVIE English dub world premiere. Katsucon 2017 takes place February 17-19, 2017 at the Gaylord National Resort & Convention Center, located in the D.C. metro area in National Harbor, MD. The annual convention for multicultural enthusiasts and entertainmentis produced by Katsucon Entertainment, Inc. (KEI), an educational organization dedicated to bringing information about Japanese animation, society, and traditional and popular culture to fans everywhere. Additional information is available at: Katsucon.org. Join the VIZ Media crew to celebrate some of your favorite titles like NARUTO, ONE-PUNCH MAN, TOKYO GHOUL and SAILOR MOON. There might even be jokes and prizes! VIZ Media’s SAILOR MOON team and special guests present all the can't-miss news and updates on the legendary anime series, as well as the all-new SAILOR MOON CRYSTAL. The panel will also feature special appearances by key members of the English voice cast for SAILOR MOON including Amanda Miller (Sailor Jupiter), Cherami Leigh (Sailor Venus) and Robbie Daymond (Tuxedo Mask). Convention attendees should also be sure to check the Katsucon schedule of events for a special autograph session featuring these SAILOR MOON English voice actors! Be among the very first to catch a special screening of the action-filled anime feature film based on the smash hit NARUTO anime and manga series created by Masashi Kishimoto. Special appearances will be made by the stellar English dub cast including Amanda Miller (Boruto), Cherami Leigh (Sarada), and Robbie Daymond (Mitsuki). Join VIZ Media’s Charlene Ingram for a special live Q & A session with the cast prior to the screening! For additional information on BORUTO, SAILOR MOON and other VIZ Media anime and manga properties, please visit VIZ.com.